The fleet will stay in the familiar waters of Brittany off the Roscoff coast for nine days with two legs finishing in the picturesque town in northwestern France. Labelled “petite cité de caractère de Bretagne” since 2009, the solo skippers are expected to arrive from Kinsale on the 13th June, before a 450nm Roscoff to Roscoff race starting on 16th June. They’ll then have a few days to enjoy the hospitality of the Finistère town, before departing on their final leg to Dieppe on the 22nd June. “Following 2013 and 2014, the Roscoff marina will again be a key location for La Solitaire URGO Le Figaro in 2019. We are proud to host this major event in the Bay of Morlaix. The Chamber of Commerce and Industry, managers of the ports of Roscoff and Morlaix, and our partners, local authorities and nautical stakeholders, work together to develop this territory. “This prestigious race is a popular event that will enhance our magnificent Bay of Morlaix from an economic and tourism perspective. The hosting of this great sailing race is indeed a unique opportunity to enhance our destination on a national level, to strengthen its attractiveness and to create a real festival to launch the tourist season. It addition to this it will also highlight our skills in boating, research in marine biology and our wealth in seafood. “A loyal partner of OC Sport Pen Duick, Brittany will once again welcome the Solitaire Urgo Le Figaro on its coastline and it is in the port of Bloscon in Roscoff that the competitors will drop anchor on their return from Ireland. 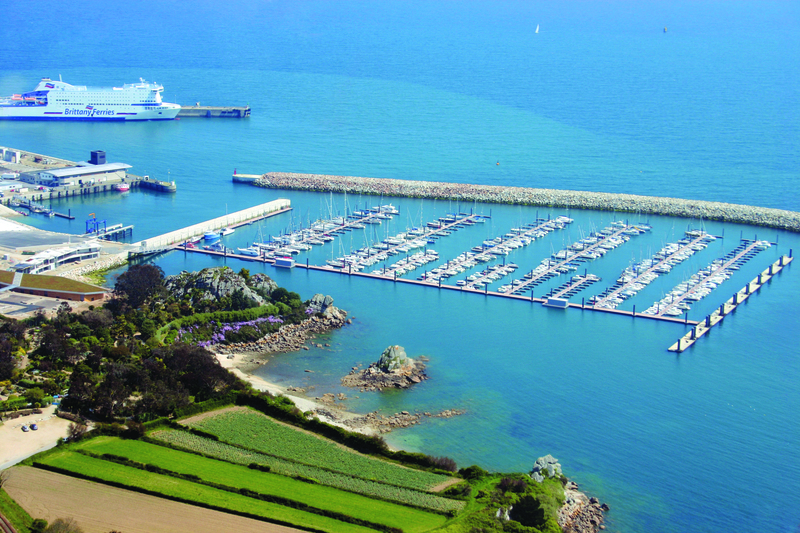 The owner of this new marina next to the ferry terminal, the Region will be keen to make every effort to ensure that the Breton stopover goes as smoothly as possible for skippers and visitors alike.